The Distaff Side: Women Directors of the 70s. Supported in part by the National Endowment for the Arts. With her first and only feature film, Barbara Loden turned in a groundbreaking work of American independent cinema. 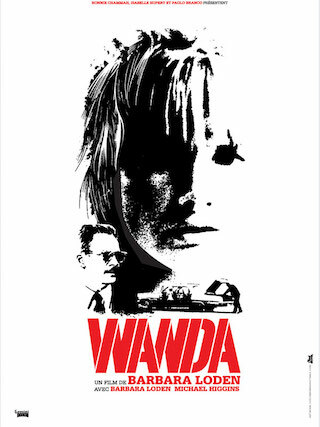 Set amid a soot-choked Pennsylvania landscape and shot in an intimate verite style, the film takes up with distant and soft-spoken Wanda (Loden), who has left her husband, lost custody of her children, and now finds herself alone, drifting between dingy bars and motels, and callously mistreated by a series of men - including a bank robber who ropes her into his next criminal scheme. "At that moment in the early 1970s, the feminist movement was split over whether its political imperative was to secure the liberty of all women or, more practically, to throw its weight behind the talented, the ambitious, the already privileged. There was—and continues to be—discomfort around Wanda because the central character is not a role model." Amy Taubin for Criterion.